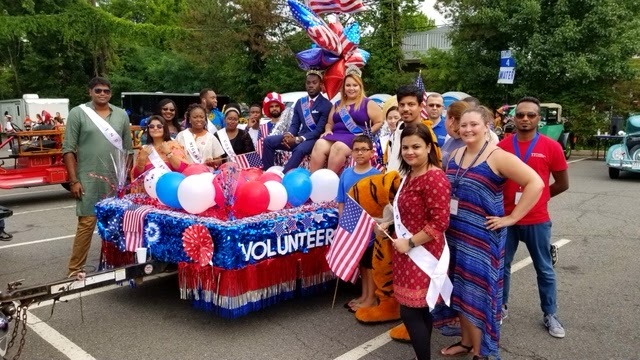 On July 4th, VIU participated in the City of Fairfax’s 51stAnnual Independence Day Parade. The parade is the largest in Northern Virginia and was an excellent opportunity for us to showcase the University. The hard work and long hours from VIU staff paid off as VIU received an Honorable Mention for our float. Congratulations to the Student Affairs department and to all who helped put everything together!